When I first heard that Geoff Calkins, columnist for The Commercial Appeal, was making a sports book, I thought becoming a bookie was a sound choice for a second career (or fourth, if you count lawyer and radio sports talk deejay) as the dark storm clouds gather over the newspaper’s horizon. Turns out he made a book full of sports, which is a different thing altogether. 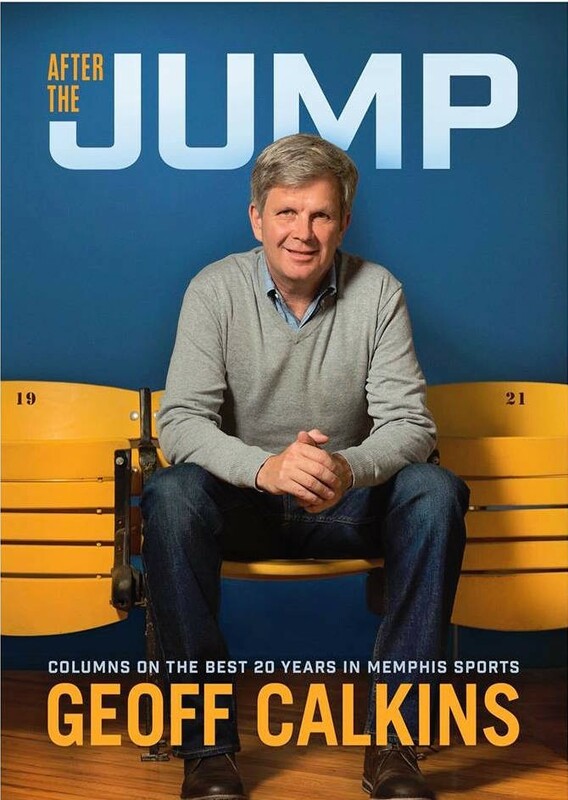 Published by Nautilus Publishing Company out of Oxford, After the Jump: Columns on the Best 20 Years in Memphis Sports is a collection of some of the writer’s favorite columns from what he’s determined to be “the best two decades in Memphis sports,” not just because of sport itself, but because of the transformative power it's brought to the city, the culture, and the people. Sponsored by Burke’s Book Store, he’ll be discussing and signing the book at AutoZone Park on Tuesday, November 1st. As the Gannett Company continues to wrap its hands around the throat of The Commercial Appeal, effectively silencing 175 years of unique voices and wiping away all personality and character, a few have remained to articulate what it is they — and we — care about. Geoff Calkins is among that scant number and this collection is a great starter for where local sports has been and how it got to where we are, and Memphis along with it. Drinks and hors d’oeuvres at 6:30, with the reading and talk at 7:00 p.m.